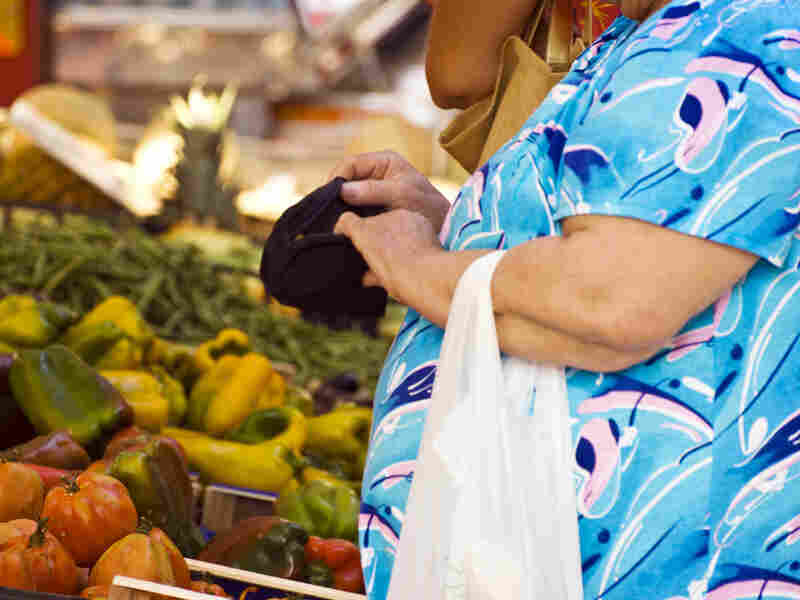 Older Adults Are Fatter Than Ever, Increasing Their Risk Of Illness : Shots - Health News There's good news and bad news about aging boomers, a Census Bureau report finds. They're drinking less and voting more, but they're also heavier, which could mean less independence later. Most older adults are overweight or obese, which increases the risk of chronic health problems. This snapshot of the new reality of aging comes in a report from the U.S. Census Bureau that was released Monday by the National Institute on Aging. The biggest bad news: Chronic diseases among older Americans are on the rise, and because of demographic changes there may be fewer people to care for the growing population of older adults. The 65+ population is now over 40 million and is expected to more than double by 2050. In earlier reports, the Census Bureau estimated that 1 in 5 Americans will be 65 years old or older by 2030. That's one more big social shift caused by the baby boomer generation. So who will care for all these older, sicker people? The cost of long-term care varies widely, but it's not cheap in any form. The average cost of a nursing home is more than $80,000 a year. Less than 20 percent of older people can afford to live in a nursing home for more than three years, and nearly two-thirds can't even afford a year of nursing home care. So it's probably fortunate that fewer older adults are becoming long-term nursing home residents. In 2000, 4.5 percent of the older population resided in nursing homes, the Census report found. By 2010, that number was just over 3 percent. Medicaid, the government program that pays for long-term care when an individual's funds run out, has accelerated that trend by shifting funds away from nursing homes. In 1990, just 13 percent of Medicaid funds for long-term care were spent on home- and community-based services. In 2007, that number had almost tripled to 43 percent. Will you still need me, will you still feed me, when I'm 84? The vast majority of long-term care for the aging is provided by unpaid family caregivers, but baby boomers have had fewer kids than their parents and more divorces. Combined with that generation's sheer size, it means that there will be fewer family caregivers available for aging boomers. In 2030, when the tail end of the baby boomer generation reaches 65, there will be fewer than three people of working age to support each older person. Labor force participation rose for both older men and older women between 2000 and 2010, reaching 22.1 percent for men and 13.8 percent for women. Americans age 65+ were the only age group to increase their voter participation in the 2012 presidential election.